Many of you are wondering about the current snow pack. 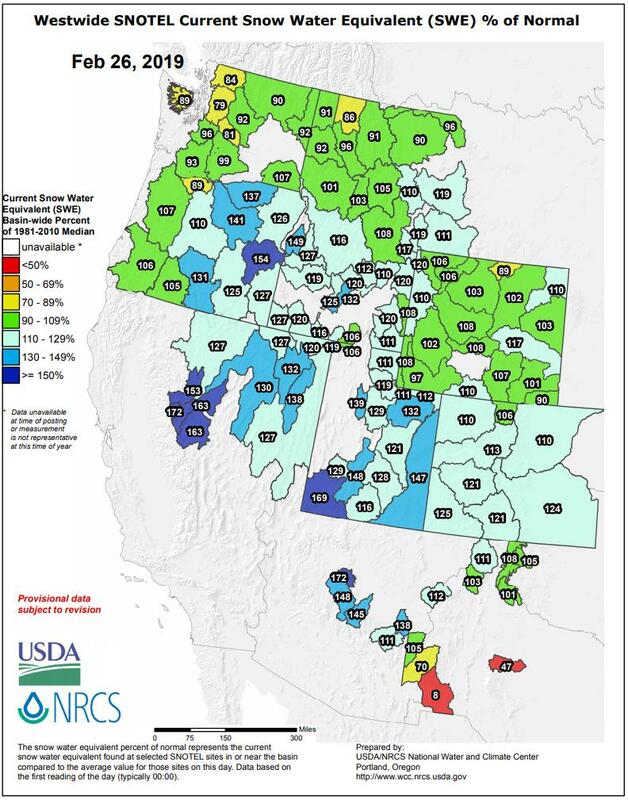 Eastern Oregon and southern Idaho currently range from 110-150% of normal for this time of year. 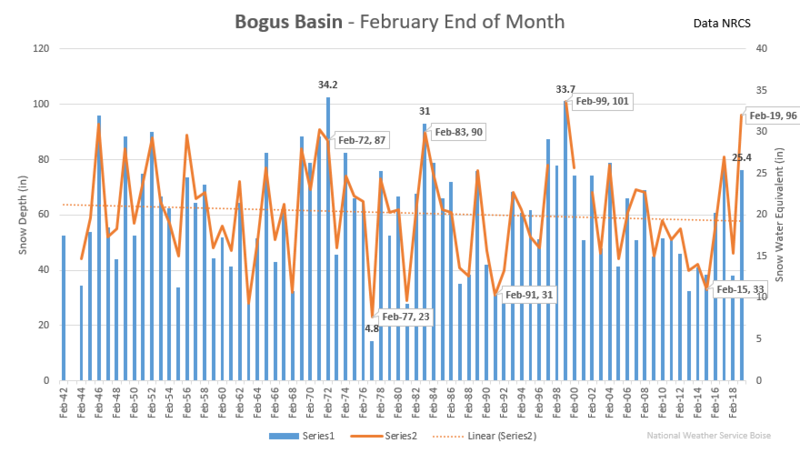 Bogus Basin, just outside of Boise, is unofficially approaching record snow depth for this time of year. Mores Creek Summit is also near record. 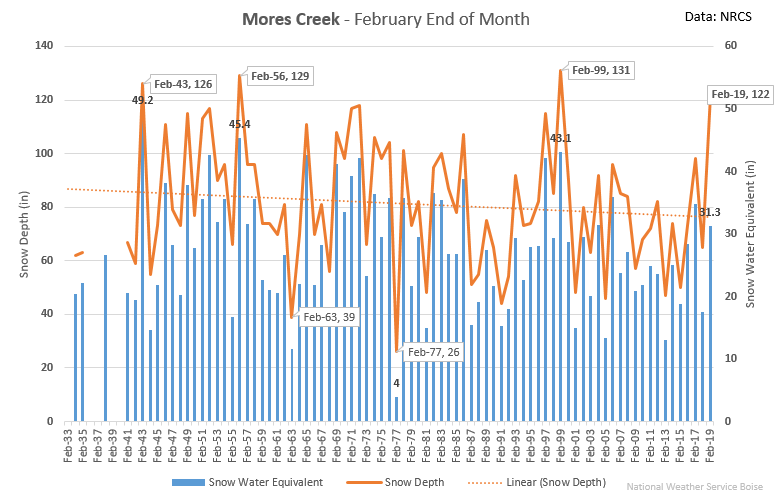 Shown are snow water equivalent and snow depths at the end of Feb since the 1940s with today’s values. 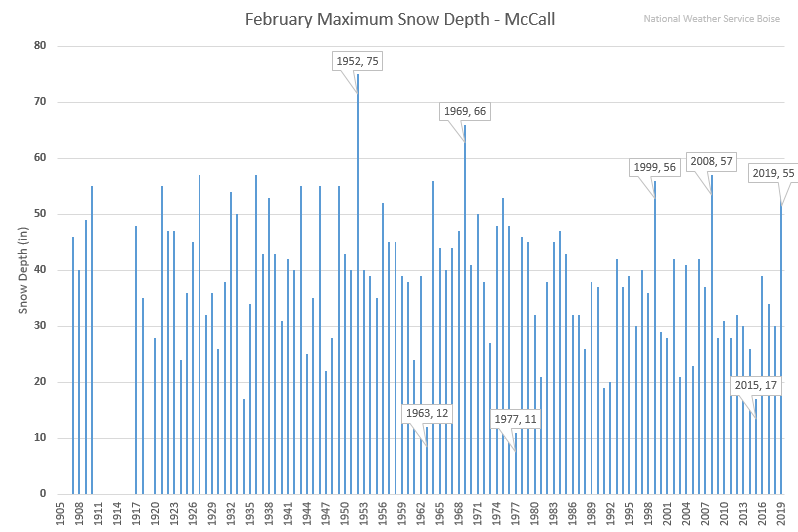 McCall: 55 inch snow depth, is the most snow on the ground in February since 2008. Not close to the record of 75″ snow depth set in February 1952.